Napoleon is Canada’s answer to Weber. 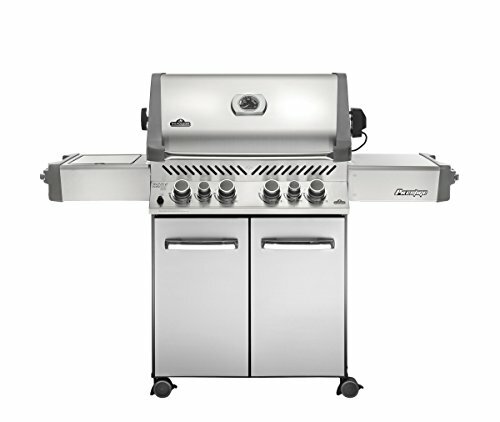 The company started out as a small steel fabrication business that later on expanded to manufacturing various types of grills, smokers, and accessories. Their grills and smokers are known for their quality and slight similarity to Weber. It’s important to note, however, that Napoleon also does have some innovative ideas and designs incorporated into their products that make them stand out among the rest. Top quality kettle grills aren’t the sole domain of Weber. 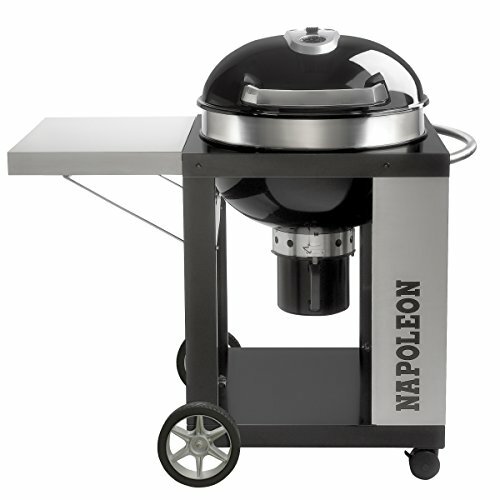 Napoleon also offers a charcoal kettle grill that rivals the Weber Performer series. With this particular charcoal grill, you get the usual kettle grill plus some nifty innovations that make them a crowd favorite. There’s a lot to love with this grill. It does a superb job of grilling various types of food and can do a decent job at smoking meat. Reaching target temp and maintaining it is easy. Clean up is a breeze. And you get a side shelf for storage while you’re grilling. While it’s hard to beat a Weber Kettle, there’s no question that this Napoleon grill comes real close. It’s certainly a viable alternative to the champion of kettle grills. 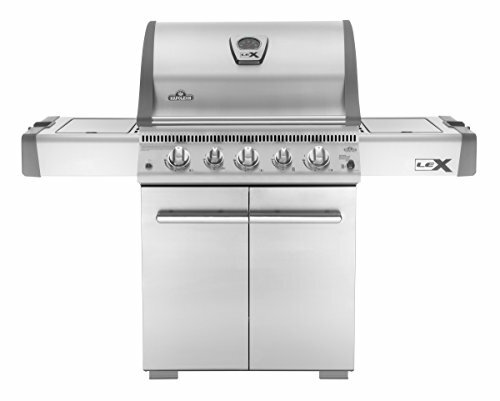 One of the best multipurpose Napoleon gas grills in the market today is the Napoleon Mirage LEX485. 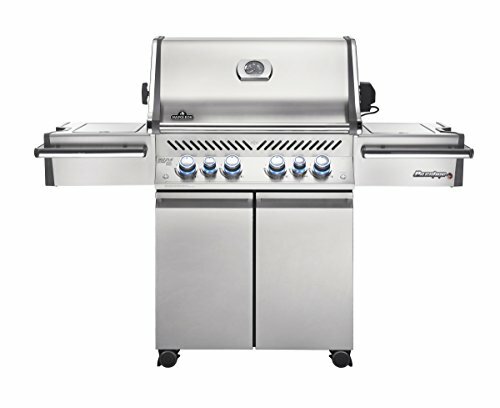 The grill uses either propane or natural gas as a fuel source and is a serious contender to the Weber Genesis. 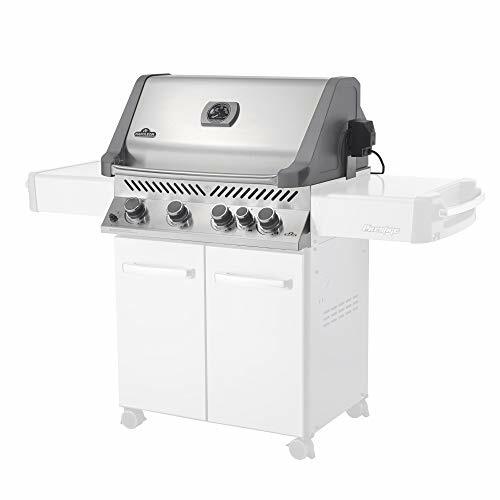 loads of extras – the integrated cooler and cutting board, the wrap-around condiment tray, and backlit knobs – that you won’t normally find in a grill in this price rage. 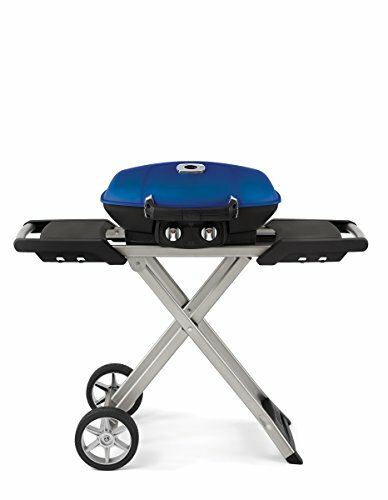 the roll-top lid reduces the amount of space your grill needs because you no longer need the clearance required to lift a lid all the way up. it’s not all stainless steel; some parts like the cart legs and back panels are cast aluminum or porcelain enameled steel. lots of searing plates which means a lot more surface for drippings to vaporize. This also helps reduce hot spots and flare ups. No, this is not a rip-off of the Weber Smokey Mountain. This bullet water smoker may look the same and have certain similarities in terms of features. But there are a number of improvements as well as design innovations inserted here and there that puts this little smoker in a league of its own. a true multipurpose tool; you can opt to grill, use only one cooking chamber for small amounts of smoked meat, or use all sections to create a larger smoker. The Napoleon 3-in-1 smoker is a viable alternative to the Weber Smokey Mountain. In fact, in some aspects, it is way better. 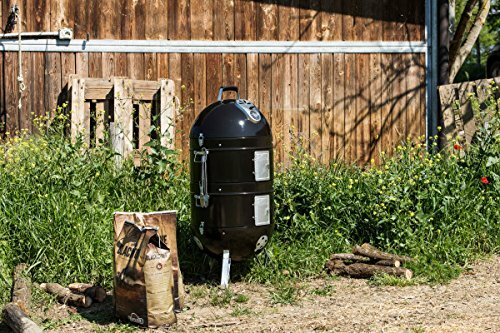 You not only get a grill and a smoker, you also get to choose how big your smoker should be which allows you to save on charcoal for small cooks. You also have the option to hang your meat instead of laying them out flat, especially if they’re too long to be laid out flat and have to be cut in order to fit (like ribs). The shortcomings of a Weber Smokey Mountain were answered with innovative designs by Napoleon which makes this a better investment. And though we all already know that Weber grills and smokers are for life, the quality of Napoleon grills have never been questioned either. They also have a limited lifetime warranty that just makes something good even better. 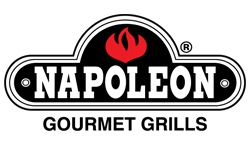 If you’re looking for a grill/smoker combo that’s been done right, you might want to mosey over to Canada and get yourself a Napoleon.